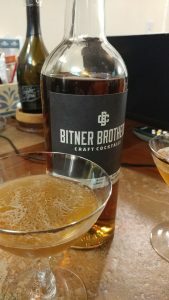 In September my youngest brother gave me a lovely gift of a custom logo-ed barrel for aging custom cocktails [Bitner Brothers Cocktails! 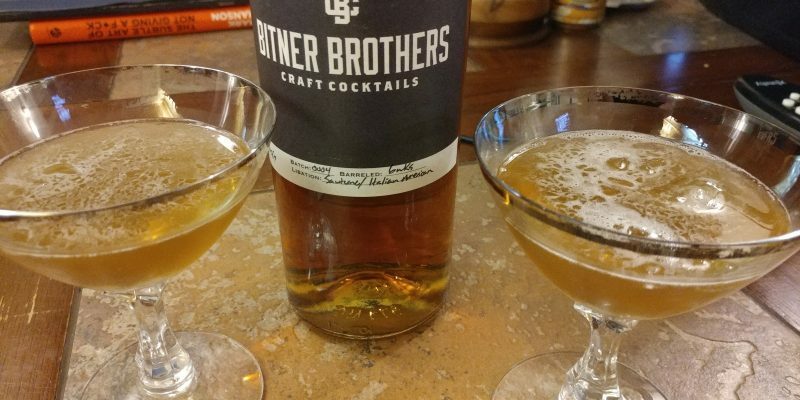 ], along with similarly branded double old-fashioned glasses – and a bottle of one of his own barrel-aged cocktails, a Sauternes-finished Italian American (Basil Hayden’s Bourbon, D’usse cognac, Cocchi americano, Amaro nonino, and Luxardo)! Extra singing work (Bach!) that would stretch through into one of his busiest Thanksgiving-Christmas holiday singing seasons (9 holiday services over 48 hours in two cities). It took until late October for me to even get around to tasting his beautiful creation. We thoroughly enjoyed it and look forward to creating our own with his generous gift.